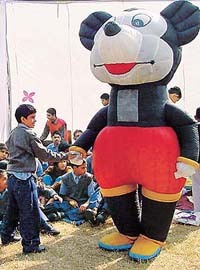 Mickey Mouse aaya saade house. Finally I see an American rat..!! Best way to hide, Osama!